On March 1, 1896, an act was passed by the Ohio General Assembly providing for the organization of two battalions to be known as the Naval Brigade of the National Guard of Ohio. Without funds for outfitting or maintenance, they mustered in Toledo in July and through further organization, one battalion was located in Cleveland and one in Toledo. In 1898, the United States Congress declared war against Spain. In an effort to get Spain out of Cuba, President William McKinley was authorized to use all land and naval forces, as well as militia to enforce Congressional demands. At this time, the naval forces in the State of Ohio became the Ohio Naval Militia (ONM). The Ohio Naval Militia participated in the war, fighting as part of the 10th Ohio Volunteer Infantry. 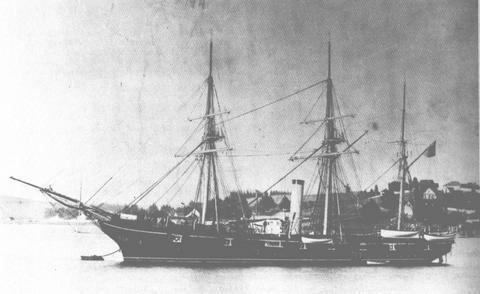 The ONM later purchased the old revenue cutter Andrew Johnson, which was refitted accordingly. The U.S. Navy also assigned the USS Michigan to train naval militias on the Great Lakes. 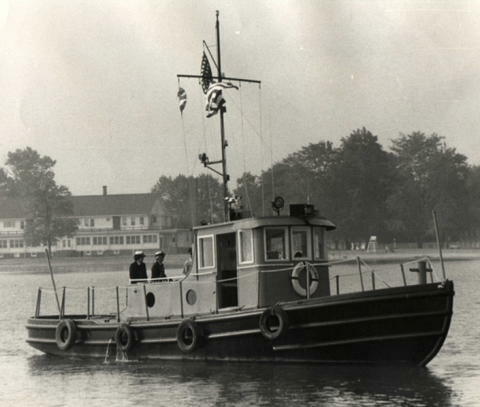 The first training was at Johnson's Island in Sandusky Bay in July 1897. 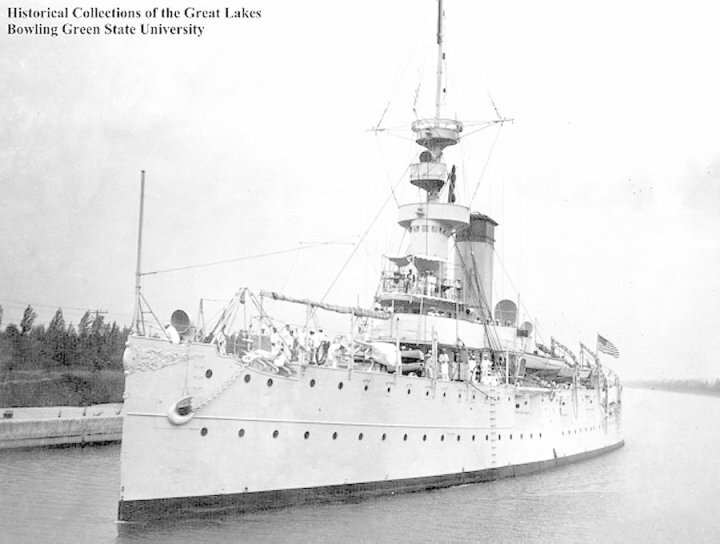 On 20 April 1917 the USS Dorothea Ship's Company at Cleveland, part of the ONM, was the first Ohio National Guard unit activated for service in the First World War. In 1936, a new Naval Militia Armory, located in Bayview Park in Toledo and built by the W.P.A. was dedicated. It served the needs of the ONM until 1947 when it was taken over by the newly-formed U.S. Naval Reserve. The ONM was deactivated following World War II, and remained so for nearly 30 years. In 1974, the former Lieutenant Governor, John W. Brown began the process of reactivating the Ohio Naval Militia; and on November 1, 1977 the ONM was reactivated with John W. Brown as the first commandant. Currently the Ohio Naval Militia is headquartered at the Camp Perry Joint Training Center in Port Clinton, Ohio. It consists of a Communications and Operations Center, office space, training facilities, a workshop, and barracks.